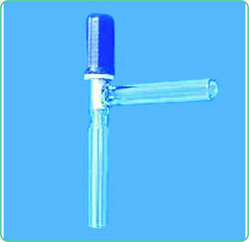 Our product range includes a wide range of Laboratory Ware such as Water Stills, Water Distillation Apparatus, Rotary Vacuum Flash Evaporator, Automatic Electrically Heated, Distillation Apparatus, Moisture Determination Apparatus, Essential Oil Determination Apparatus, Cleavenger Apparatus, Rota Flow Stopcock, Straight, PTFE Key Stopcock, Straight, Glass Stopcock, Straight etc. 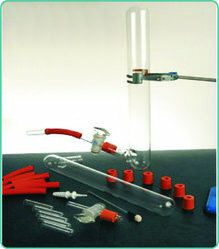 All glass Distillation Apparatus, Cut Design, heater embedded in spiral glass tube complete with C.I. heavy base, S.S. Rod, Clamps, Board etc. Note: Automatic Cut-off offered above have been newly designed. A sensitive thermal sensor has been provided so no outside electrodes are needed. 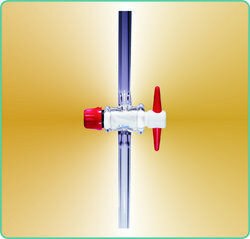 It is more sturdy and reliable as compared to the conventional type. 348/01 3 Single Distillation without Cut-off. 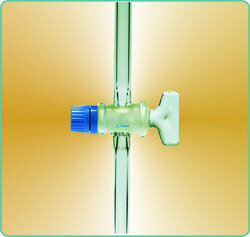 348/02 3 Single Distillation with thermal auto Cut-off. 348/03 5 Single Distillation without Cut-off. 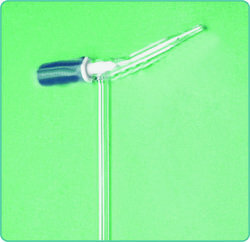 348/04 5 Single Distillation with thermal auto Cut-off. 348/05 10 Single Distillation without Cut-off. 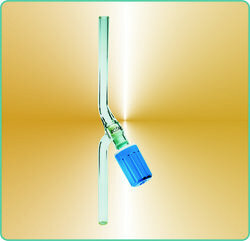 348/06 10 Single Distillation with thermal auto Cut-off. 348/07 3 Double Distillation without Cut-off. 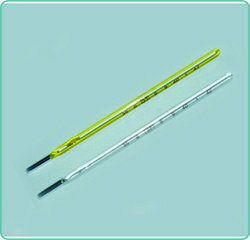 348/08 3 Double Distillation with thermal auto Cut-off. 348/09 5 Double Distillation without Cut-off. 348/10 5 Double Distillation with thermal auto Cut-off. 348/11 10 Double Distillation without Cut-off. 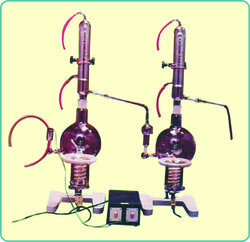 348/12 10 Double Distillation with thermal auto Cut-off. 348/13 3 Triple Distillation without Cut-off. 348/14 3 Triple Distillation with thermal auto Cut-off. 348/15 5 Triple Distillation without Cut-off. 348/16 5 Triple Distillation with thermal auto Cut-off. 348/17 10 Triple Distillation without Cut-off. 348/18 10 Triple Distillation with thermal auto Cut-off. 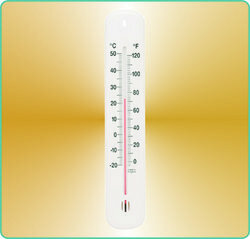 Maximum Minimum Thermometer Plastic Base Superior Quality. 338/01 Complete set comprising 16 items of Glassware. 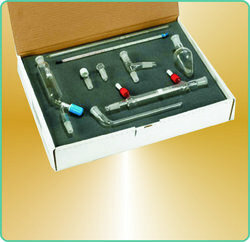 27 BU Organic Chemistry Set A highly popular set in schools, colleges and universities. 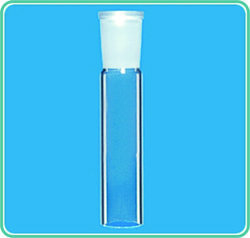 It has been purposely designed to cover the essential requirements for the teaching of organic chemistry and is suitable for preparations up to 30g. This is a set which is difficult to beat for versatility. 337/01 Complete set comprising 9 items of Glassware. 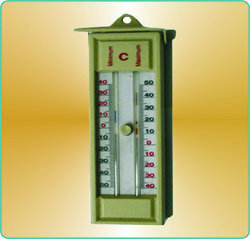 Thermometer White/Yellow back with Red Spirit filled App. 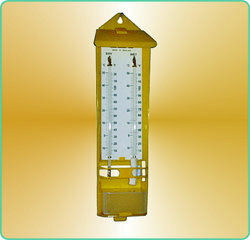 immersion 76 mm, total length 305 mm. 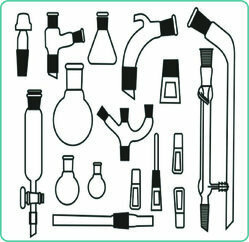 Looking for Laboratory Wares ?